In recent years, increasing numbers of long non-coding RNAs (lncRNAs) have been identified in humans, animals and plants, and several of them have been shown to play important roles in diverse biological processes. 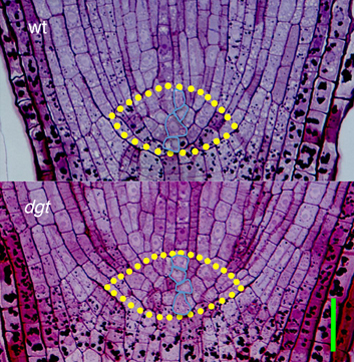 However, little work has been performed on the regulation mechanism of lncRNA biogenesis and expression, especially in plants. 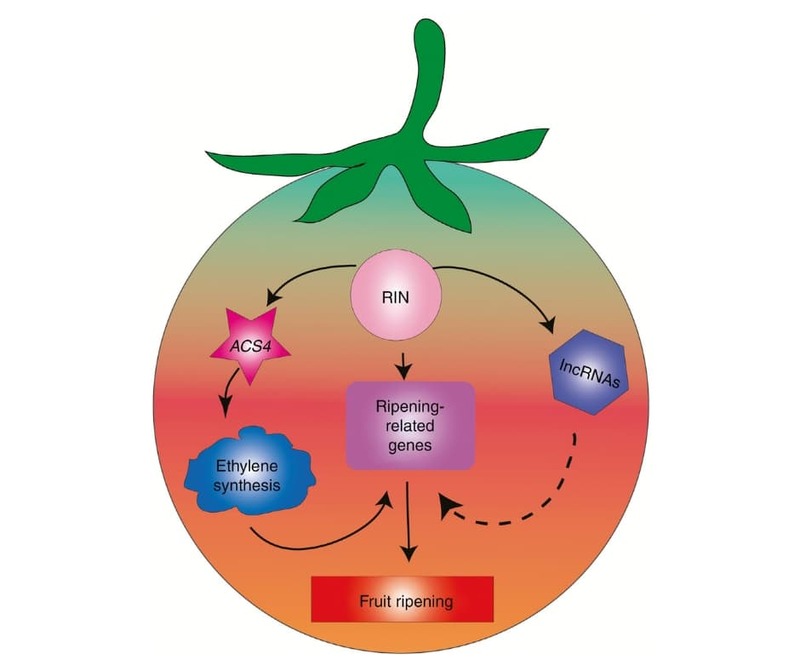 Compared with studies of tomato MADS-box transcription factor RIPENING INHIBITOR (RIN) target coding genes, there are few reports on its relationship to non-coding RNAs. The aim of the present study was to identify and explore the specific role of RIN target lncRNAs in tomato fruit development and ripening. Schematic representation of the proposed model for a regulatory mechanism of tomato fruit ripening. Full-line arrows indicate RIN regulates fruit ripening by ethylene via ACS4 and ripening-related target genes. Dotted-line arrow indicates that the regulatory mechanism of lncRNAs during fruit ripening is unclear. lncRNA targets of RIN were identified by chromatin immunoprecipitation sequencing (ChIP-seq) combined with RNA deep sequencing analysis. Yu et al. 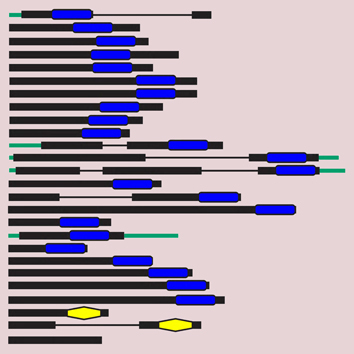 identified 187 lncRNAs as direct RIN targets, which exhibited RIN binding sites in their promoters and showed different expression between the wild-type and rin mutant. Six target lncRNAs were shown to bind with RIN directly in their promoters in vivo and in vitro. Moreover, using CRISPR/Cas9 technology to knock out the locus of the target lncRNA2155 indicated that it delayed fruit ripening in tomato. 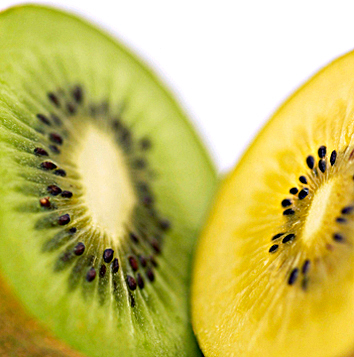 Collectively, these findings provide new insight into RIN in the transcriptional regulation of lncRNAs and suggest that lncRNAs will contribute to a better understanding of the RIN regulatory network that controls fruit ripening.